The book of Judges is one of the most fascinating in the Bible. The “judges” are colorful characters, often rule-breakers, who ultimately seem to deliver the early Israelites from their enemies. Many of their names are familiar: Samson, Gideon, and Jephthah. Well, Jephthah may be a stretch for those who haven’t read the book lately. Anyway, among the most interesting facets of the book is the fact that there are female judges. The most prominent is Deborah. Although she doesn’t seem actually to fight in battle, she leads Barak and he is able to defeat the Canaanites, through the agency of God, of course. The story is told in great detail of how the Canaanite general Sisera gets his chariot bogged down in the mud, flees the field, and finds the tent of Jael, who invites him in. After she lulls him to sleep she drives a tent peg through his skull, killing him. Jael is celebrated for her part in the deliverance. Gory images aside, I’ve been thinking of Sisera. I wonder what he looked like. I realize that he may not have been an historical person, but still. The Bible is generally shy about describing the outward appearance of people. We get a few people with details revealed, but Sisera is not one of them. The reason I’m wondering is that I’ve got an image lodged in my head. A childhood story that we were read about Deborah showed Sisera as a bald man with a beard. Totally bald. 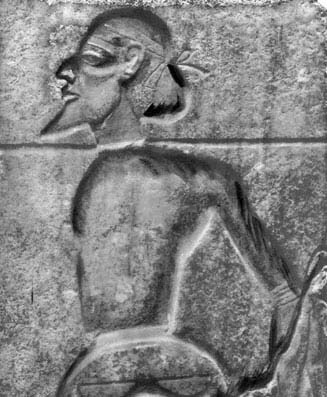 I know that complete baldness can and does occur, but the little iconography of Canaanites we have doesn’t show them as being particularly bald as a fashion statement. As I was reading about Sisera the other day I tried to picture him as a man with a headful of hair, and I just couldn’t do it. The image was too mentally jarring. 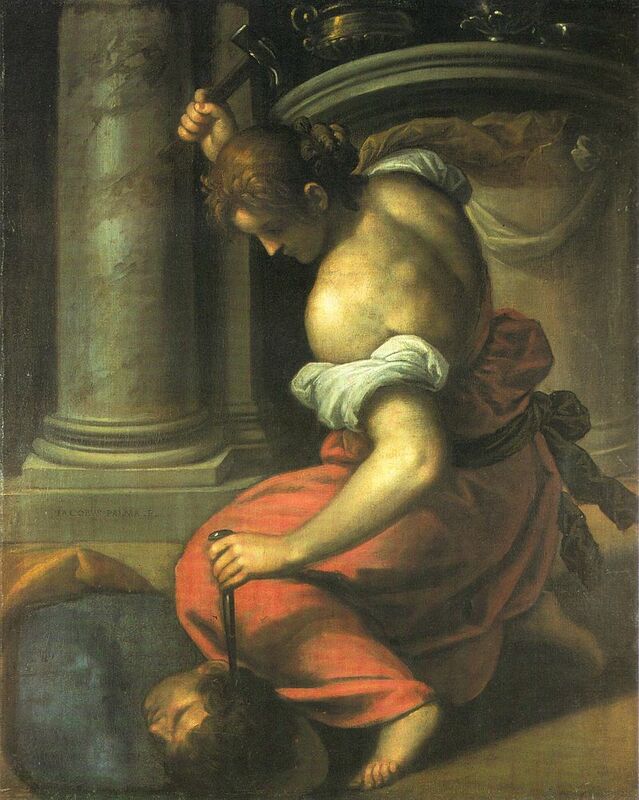 Sisera was bald. The images that we’re shown as children, especially for powerful stories, have a way of becoming canonical. It’s like learning to tie your shoes. The first way that leads to success is the right way. We never need to learn another. How many images of Sisera does one person need to have in his or her head anyway? So my Sisera is bald. Religions often provide us with images that impact us for the remainder of our lives. The impressions laid on young gray matter are not easily erased. Now that I know many of the stories in the Bible have no historical veracity, I still can’t help but think of the early images I learned. These are the canonical images and anything else is too difficult to contemplate. My Sisera will always be bald. As winter begins to settle in, I recall reading Barry Lopez’s masterful Arctic Dreams many years ago. 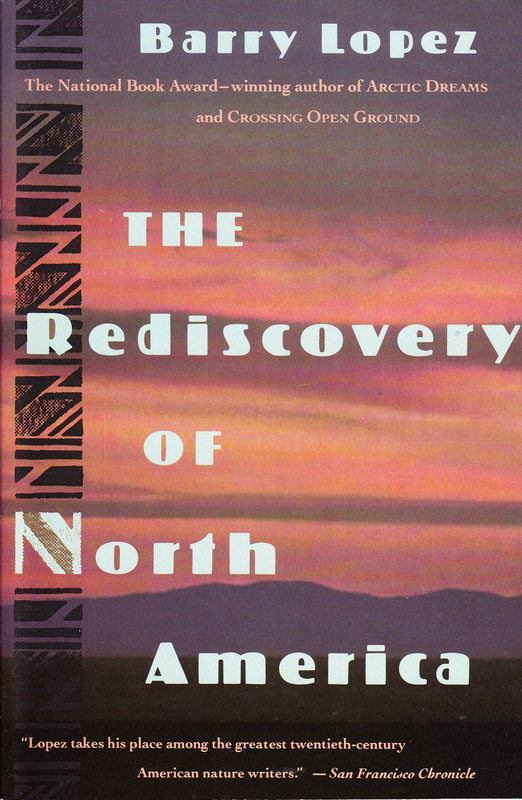 That book left such an impression that when I saw his The Rediscovery of North America—a very small book—I thought it was worth the asking price. Lopez is one of those nature writers who can transport the reader into the world he observes. This brief volume, however, takes the reader to a very different kind of world—the world of European interaction with North America. As children we (and I speak for myself, or perhaps my generation) were still taught that Columbus was a kind of hero. He ventured into the unknown and discovered an entire new world. That world became the everyday place we inhabit with our comforts and our toys. Things only got better from there. Of course, I learned to distrust this view by the time I was an undergraduate, and my perspective has turned a bit more serious since then. These events, viewed from the perspective of the Native Americans, have a completely opposed outlook. Lopez tries to capture a sense of how to rectify these wrongs in his Thomas D. Clark lectures that make the basis for this book. Greed, no doubt, drove the early explorers of the new world. And a sense of entitlement that has not diminished with the passing centuries. While it is not as simple as tracing this sense of ownership back to Genesis, clearly the Bible plays some role in it. Religions that teach their adherents that they have the sole truth will inevitably lead to entitlement. Monotheism, as I’ve noted before, possesses the tendency to make absolute claims. One God, one Church, one Truth. And non-believers become expendable. To the Catholic Spaniards setting out for the new world (or actually, old world, but tripping up on the new along the way), as Lopez points out, were driven by lust for gold. And spices. And fornication. Things that, if one took it seriously, would be decried by the church as vices. Still, taking advantage of the gullible and helpless is a time-honored practice among many religious bodies, and we know that genocide ensues. Somehow history has taught us that some genocides are worse than others. Those inflicted on native populations, perhaps because they weren’t always intentional (in the case of diseases) are sometimes still given a silent assent. Yet, as Lopez makes clear, the intention to murder was there already. The conquistadors had already decided that the natives did not deserve the same rights as the God-blessed new arrivals. What saddens me—and I think Lopez too—is that this same sense of entitlement, instead of tempering with time, has continued to increase. Tea Parties and American Values often include removing those who disagree. Inconvenient indigenous populations that aren’t mentioned in the Bible except as Canaanite stand-ins. And should we care to make right what was perpetrated, perhaps we ought to consider rediscovering North America. Ham, in the movie Noah, is a conflicted figure. I felt a slight chill, I’ll have to admit, when the carnivore Tubal-Cain asked him his name, reminiscent as it is of pork. Of the sons of Noah he alone bears the impossibly stylish short hair his father seems to favor, and yet, he is one of four men alive and the only one without a mate. Japheth is young enough to wait for his twin nieces to grow up, and the ancestor of the Semites, Shem, has already begun his fruitful multiplication, just when humanity seemed at an evolutionary bottle-neck. Ham found a wife but couldn’t keep her. Noah leaves her to be trampled to death as he takes his son to the gentlemen’s club known as The Ark. The rain has already begun to fall. In the Bible Ham gets short-shrift as well. Having seen Noah naked after he discovers alcoholism, Ham bears the brunt of his father’s wrath. 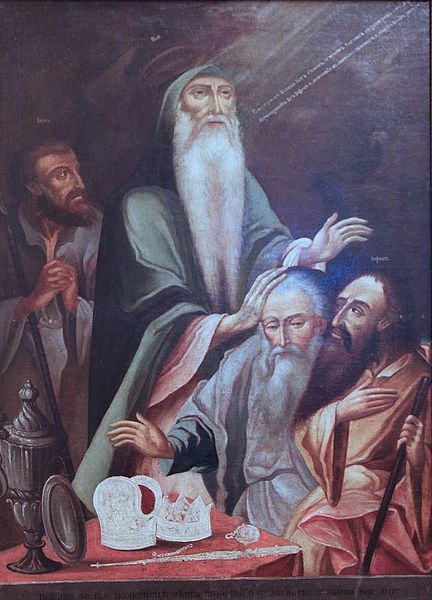 Noah, perhaps still hungover, curses Ham’s son (not appearing in the movie), Canaan. From the biblical point of view, the reason is perfectly clear: when Israel arrived in the promised land, the Canaanites already lived there. Given that the promise was to Shem’s descendants, a genocide was ordered and probably the more liberal among the marauding Israelites felt a bit of guilt about that. No worries—like ethnic minorities in horror movies, the Canaanites were created to be killed. Ham, however, isn’t cursed for his voyeurism. Still, according to later interpretation, he is the ancestor of the Africans as well, and the “curse of Ham” was used for a biblically literate society as a justification of slavery. After all, Ham had had an eyeful, and it was only fitting, they reasoned, that his n-teenth-hundredth generation should suffer cruelly for it. How’s that for air-tight reasoning? According to the movie, Ham decided to leave in voluntary exile. Perhaps he hoped that like Cain he might find an unlikely spouse in an unpopulated world. He had grown apart from the new Adam, welcoming Tubal-Cain aboard the ark, and keeping him hidden until Noah threatened to kill the future of all humankind. Strangely, it seems that Ham is the proximate cause of the salvation of all humanity, and he become a self-sacrificial scapegoat in the Icelandic scenery. He declares that his deceased chosen mate was good, and Noah had cursed her as well. In the Bible cursing is freely dispensed, and it is considered adequate to its task. Somehow that curse transmuted to a nobility in the film, for Ham is the most like Noah of all his children. And even today that self-same Bible is used to justify a genocide in a world where myth is taken for reality. You can never find a Canaanite when you need one. This has been the bane of scholars of the Ancient Near East for many years. While teaching my class on Ancient Near Eastern Religions the question frequently arises: who are the Canaanites? Problem is, nobody really knows. In this we have a useful paradigm. Today religions continue the “us versus them” mentality. In the Hebrew Bible it is often open season on Canaanites since they worship other gods. Today this fear and distrust continues with members of some religions declaring war on those in other traditions. Sometimes it is even within a single religion: Catholic versus Protestant, Baptist versus Catholic, or everyone versus Unitarians. Religion is, however, always taken on faith. No technique exists to determine, empirically, which is the “true religion” or whether they are all paths up the same mountain. Religions are not fact, they are belief. And religions evolve. It would be the greatest evolutionary leap forward for religions to accept each other, to do away with the ersatz Canaanites. Not that Canaanites should be decimated or eradicated, but they should be accepted for who they are. Who are the Canaanites? They are anyone who practices a religion different from your own.